Sizes 22" & 24", 25" & 28" making a set of 4. 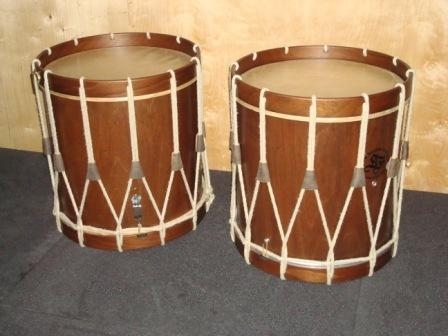 English calf-skin heads. 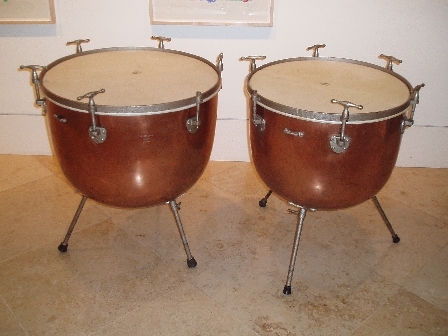 Tubular steel legs. Super-kalfo heads. 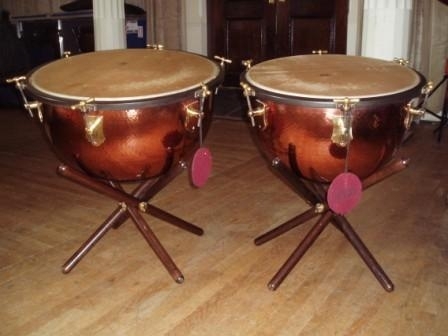 These timpani can be combined with the Ajax/Potter's 25" & 28" timpani to make a set of 4. Super-kalfo heads. 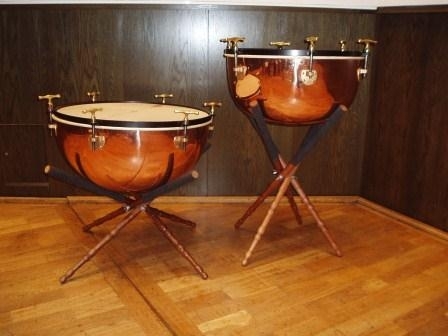 These timpani can be combined with the Adams 23" & 26" timpani to make a set of 4. 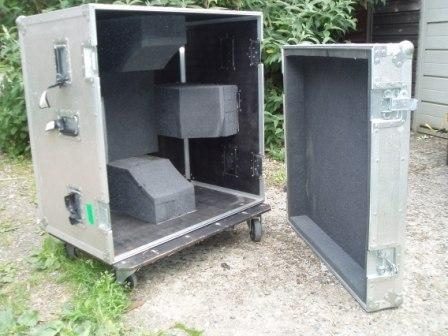 Some of my instruments and cases are available for hire and some examples are shown here. 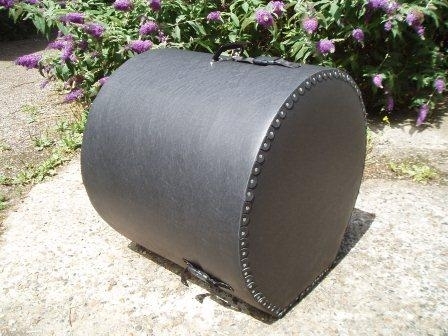 Please contact me to discuss your enquiry. 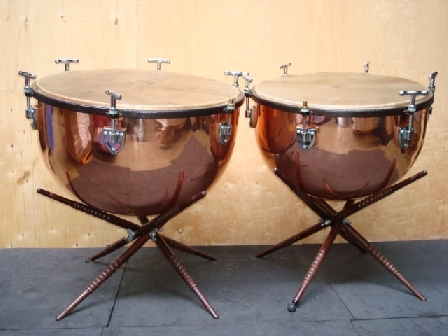 These stands are available in long or short lengths. 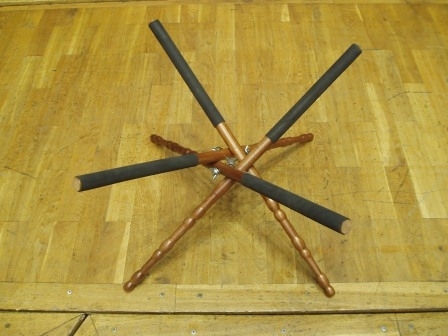 Long stands are suitable for playing in a standing or sitting position. 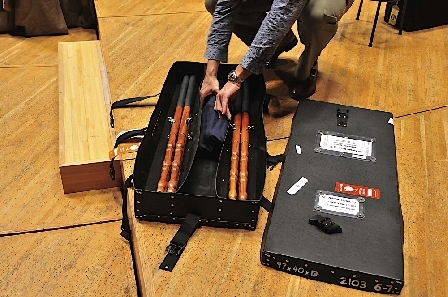 Stands are provided in Le Blond cases. 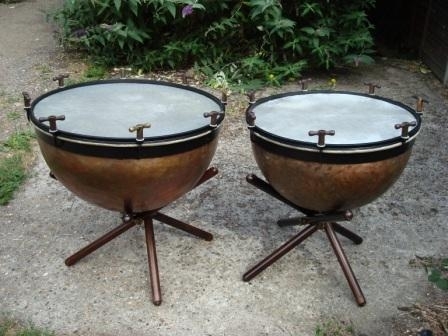 To purchase, stands cost £85 each. 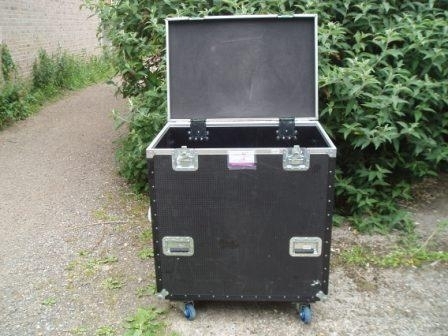 Le Blond cases for 2,3 or 4 stands range in price from £35-£45. All prices + VAT. 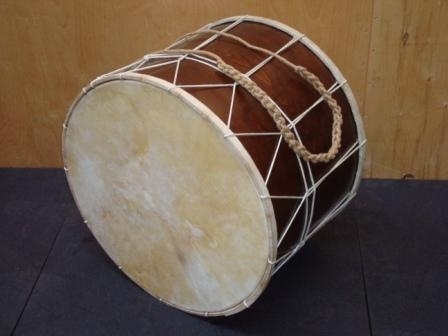 This drum has calf-skin heads. 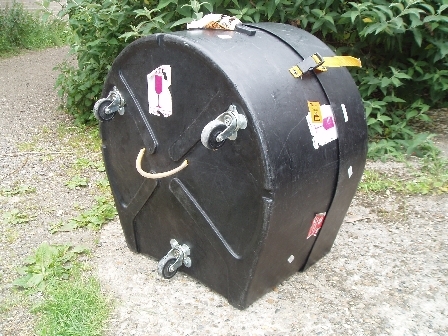 Case dimensions are 97cm diameter x 47cm deep, with a weight including padding of 15kg. 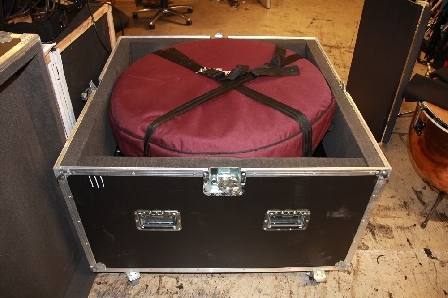 This drum also fits in Oakleigh small flight case with a total weight of 36kg. 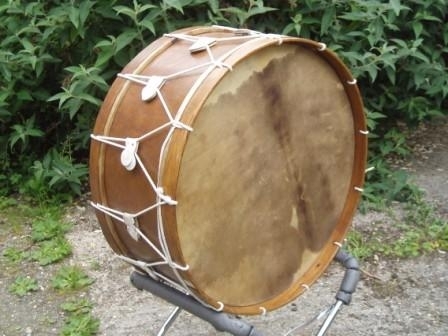 Rope tension "War of 1812" bass drum with goat skins heads. Made by George P. Carroll. 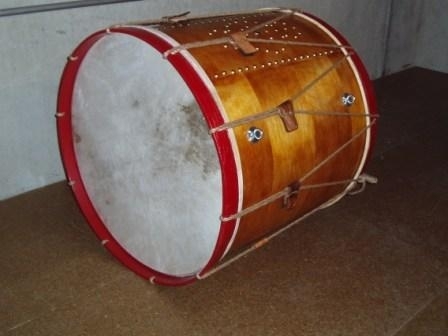 Turkish bass drum, calf skin heads. 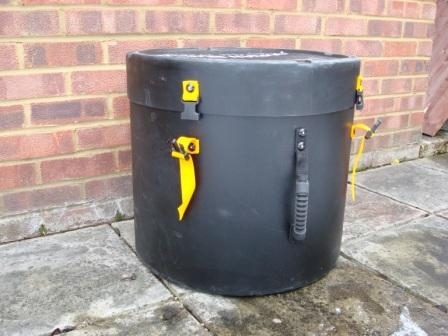 Drum in bag weighs 5.1kg. 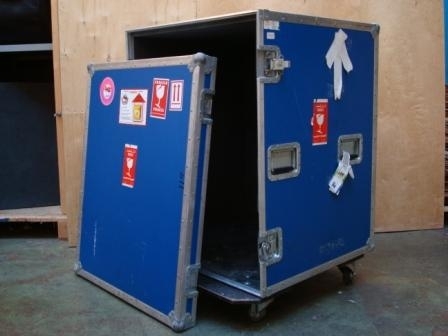 Fits in HN22B with a total weight of 17kg incl. 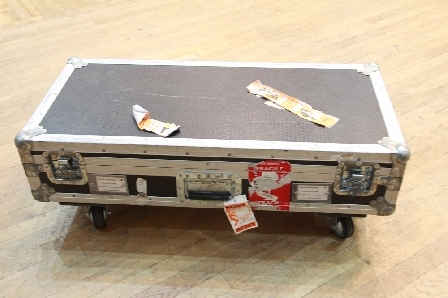 extra foam. 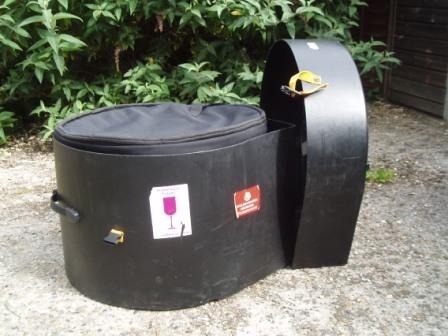 Matching 16" x 16" drums fitted with calf heads and gut snares. 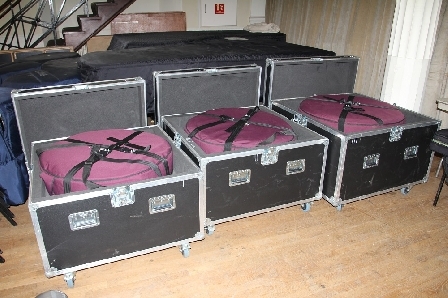 3 cases for 23", 26" and 29". 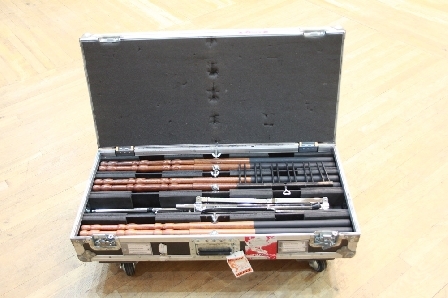 The small case takes 23" Adams, Boosey and Lefima belt timpani. 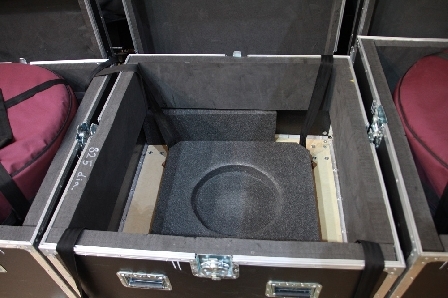 The large case takes 26" Adams, Boosey and Lefima belt timpani.